Affiliate marketing kind of has a stigma against it, and it is almost entirely undeserved. When done correctly (and ethically), affiliate marketing can boost your revenue, bolster networks and relationships with both customers and brands, and get the word out about products and services that you love. In the WordPress space, there are a lot of WP-specific affiliate programs that can keep your wallet full and your customers happy and productive. Let’s dig through the absolute best WordPress affiliate programs out there, shall we? Please note that while we do believe these are among the best WordPress affiliate programs available to you, we are presenting these in no particular order. They are numbered for your convenience, not ranking. Straight up, if you’re looking for the best WordPress affiliate programs, then you absolutely need to look at WPEngine. Their payout is insanely good. You get either $200 or 100% of the customer’s first month — whichever is higher. In all our searching, all our looking, we could not find a simpler or more lucrative program. The details are pretty simple, too. Someone clicks your link, and if they become a WPEngine customer within 180 days (6 months! ), you get $200 bucks. On top of that, if they become an affiliate (or you just refer an affiliate in general), you get $50 for every person they refer. WPEngine also promises bonus commissions that start when you make 5 sales (referrals) per month; however, they don’t go into details of how much those are worth. There is zero reason not to get involved with the WPEngine program if you’re even remotely interested in affiliate marketing. With payouts like theirs, it’s worth writing up an FTC disclosure and putting some banners up at the very least. Not to toot our own horn, but we are very proud of being able to offer a top-notch WordPress affiliate program: 50% on all referrals, both new members and renewals. 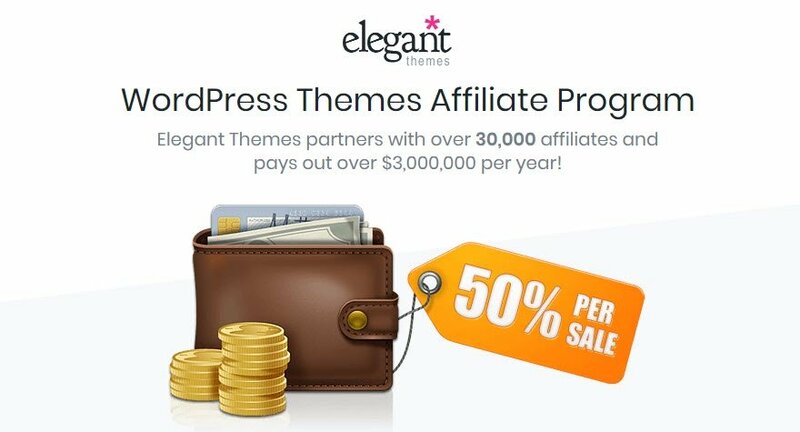 With the Elegant Themes affiliate program, we want you to feel confident that your income is consistent and reliable. ET pays out over $3,000,000 each year to affiliates, and that’s more than enough reason to give the program a look. Okay, so StudioPress only offers a 35% commission for their affiliate program. But hear us out before you dismiss them. While 35% is significantly lower than what we’d normally recommend, StudioPress is so popular and well-known because of their Genesis Framework that the name recognition and volume of potential sales outweigh the loss of a few percentage points. Genesis is one of the best-selling WordPress themes out there, and their 60-day cookie means that your users have a little time to decide on if they want to take advantage of your referral. We mention the Genesis Framework, but StudioPress is also a development house with other themes for sale, too, and if your user buys one of those, all the same details apply. Genesis is their flagship product, though, which is why we emphasized it. Team Treehouse is an online learning platform that covers pretty much every aspect of software development and web tech. And their WordPress courses are taught by some of the most respected instructors in the field. So while it’s not 100% WordPress-centric, they have a lot of WP content for you to share and promote with your audience. Treehouse pays out 50% of whatever your referrals pay, so whether they go for a traditional subscription plan or enroll in a Treehouse Tech Degree program, you’re getting half for the duration. And if they don’t subscribe and just sign up for a free trial? You get a flat fee for that, too. Because Team Treehouse has a lot of content, you can be pretty sure if you get a referral, they’re going to stay for a bit so they can finish up whatever track or courses they start. Plus, Treehouse isn’t the cheapest option out there (but they’re by no means exuberant), you can make a pretty penny through their affiliate program if you try. At 55% commission, ThemeIsle should get your attention for that in and of itself. When you add in that they have a 365-day cookie for referrals (1 whole year! Sheesh! ), and that they have a full affiliate support team available to you across multiple platforms (Skype, Twitter, email, and phone calls), there is no reason for you not to apply for their program. ThemeIsle is a well-known quantity in the WP space, being a theme and plugin developer with an established userbase, and they belong to the same parent company as CodeinWP, Optimole, and ReviveSocial. We add that in for the assurance that ThemeIsle is stable and respected, and this program isn’t going anywhere soon. You can trust them, and that’s more than you can say about a lot of affiliate marketing programs out there. Holy moly at the WP Buffs affiliate program. They say that it’s bufftastic, and we are inclined to agree. They have two kinds of referrals, direct and white-label partner. The direct customer referrals net you $100 straight up. No frills, no commissions, nothing else to worry about. Send someone to the site, they spend money, you get $100. And if you sign up your agency or firm (or even just you as a freelancer) to be a partner who works with them directly for technical maintenance and such, you get $300 per customer referred. It’s really a very good deal, and if you end up as a partner, their program can actually help off-load more tedious tasks so you can concentrate on the ones that bring in even more money. While you’re earning money. Sucuri is one of the best defenses against malicious attacks on WordPress websites. Because of that, it’s easy to recommend their WordPress affiliate program because not only does it pay well, the service you’re hawking is also in high demand. And getting higher every day. With commissions that range from $29 flat all the way up to $210, you’re bound to make some money with this one. Because Sucuri has a lot of services, the commission you earn will be variable based on what the user decides on. Plus, Sucuri has a built-in finders fee if you refer an agency there. That’s a straight $100 if an agency sale comes through your link. Not too shabby. Again, SiteGround is not 100% WordPress. However, they are one of the most recommended hosts among the WordPress community, and they offer WordPress-optimized hosting packages that you can recommend to your users — and potentially use yourself. SiteGround is known for their customer support, and their affiliate program is no different. You get an individual manager assigned to you when you are approved, which means that you always have access to a person with whom you can build a relationship and rely on. Additionally, their payout is pretty good, too, at $50 per referral, and once you reach 6+ per month, the rate only increases. So you can potentially earn a great deal of money if you have a large audience already. Everyone in web technology has a favored host, and everyone has horror stories about a host that someone else loves. SiteGround, however, does seem to have fewer anecotal complains and more recommendations than most, so we feel comfortable recommending their affiliate program to you and your WordPressers. 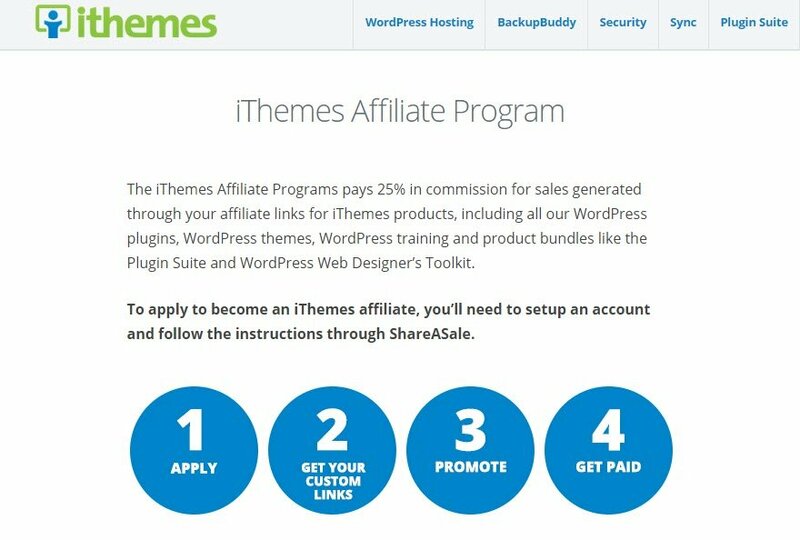 Among the best WordPress affiliate programs, MyThemeShop’s entry has a lot going for it: monthly payouts, great reports and analytics, oodles (read: 150+) of products to promote, a super-short 15 day waiting period before payment, and a not-insignificant 55% commission on referrals. Oh, and they also have a 10% commission in addition to that from any affiliates you refer to the program. Their single-year price is $69, and the membership option comes in at $349, so you’re making anywhere between $37.50 per sale up to $191.95 per sale. And like a lot of the others on this list, they’ve been around for a while so you can feel confident in the program itself. CSSIgniter is worth a look, too, if you’re in the web design game. Their pricing model works perfectly for affiliate marketing because they sell single themes starting at $49, annual plans at $69/79, and a lifetime membership for $249. And you get 40% of any of those you refer someone toward. The real gem for CSSIgniter’s affiliate program is the one-off nature or the membership recurrence. No matter what your clients or users need, a referral to CSSIgniter will satisfy them, and you’ll get a little cash for your trouble. And with customizable links that make it easier for you to share and 6-month cookies, it’s a good idea to apply for CSSIgniter. Flywheel is a WordPress managed host that’s aimed at designers over developers. They focus on ease of use and simplicity in transferring ownership of sites, and that is built right into their affiliate program. With Flywheel, you can create a demo site (for free), and when you sell it as an affiliate, you get 300% of the first month’s payment on a plan, with an upper-limit of $500 per single referral. That’s a lot. Flywheel also has a traditional affiliate program, with links and banners and all the stuff you’re used to. If that’s your preferred way of working, you’re not missing out on that 300% commission. And if you’re a hosting reseller, or you want to become one, there’s an agency partner program with its own payouts and rates to check out, too. Choosing a single host to partner with and promote as an affiliate can be a hard decision. So let’s make that decision even harder by introducing you to Kinsta’s referral plan. We were intrigued by this particular program because not only do they have a large commission (between $50 and $500, depending on what is sold), but they also have a 10% recurring commission that is based on what the person you referred is paying. As long as they remain a member of Kinsta, you get 10% of their payment. And according to the affiliate landing page, Kinsta boasts an incredibly low 5% churn rate. So once people subscribe, they stay put. And the money just keeps rolling in. With a 25% commission, we almost didn’t include iThemes on this list. But after considering it, we thought that we would be remiss if we didn’t. Even though the percentage is lower than many of the other top WordPress affiliate programs, the services and produts that you’ll be marketing are top-tier. iThemes Security is one of the most popular plugins for WordPress security — period. And their BackupBuddy plugin is just as respected in its area. And then there’s the themes they sell, the iThemes Sync dashboard, and…everything else. With the popularity and quality of their work, affiliating yourself with iThemes is a no-brainer. People are absolutely going to be using their products, regardless of your being a member of this program. So you might as well be a part of it. 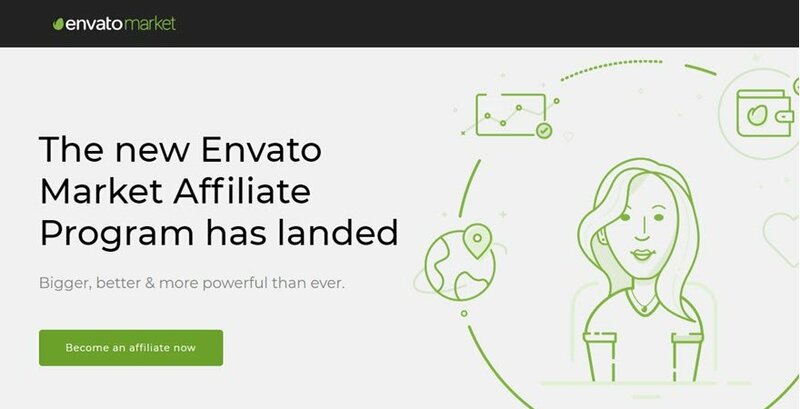 Pretty much the marketplaces for WordPress themes and plugins, the revamped Envato affiliate program works on all their sites: ThemeForest, CodeCanyon, GraphicRiver, and VideoHive. They had to be included, too, because of how prevalent they are in the WordPress world, even though the 30% commission on some often-lower priced plugins and themes may seem minimal. However, because they are the only spot where many plugin and theme developers do business, you can’t afford to not be an affiliate. So sign up and start raking in the dough. I’d be willing to be that you have an email list plugin on your site from some provider to collect your users’ information. Nearly everyone who has a WordPress site does as well. That’s why you can make a lot of money with this one. The Constant Contact affiliate program is incredibly well-made. you get $5 for anyone who signs up for a free trial, so they don’t even have to buy anything. As many trials as you generate, you get a fiver. And if anyone becomes a paid customer, you get $105. No percentages and no recurrences, though, unfortunately. But it’s a high flat-rate for a referral, and anyone who pays for free trials at all is worth mentioning. Also, Constant Contact as a company is reliable and highly reviewed, so you aren’t risking your reputation by promoting them. There’s not a lot to say about the Refer WordPress program. It pays only 20% of any referral purchases, but it counts for anyone who pays for a product from JetPack, WordPress.com, or WooCommerce. And that’s where the money is at. WooCommerce runs more WP-based stores than any other product, and their extensions are often around $200 each. With a 20% affiliate rate, you’re making $40 per extension sale, and most people need at least one premium extension to really run their stores. And since it’s the offical WordPress referral network, you can trust it. On top of all that, the WordPress.com platform has recently moved into a more managed hosting-style business model, so you could see some relatively decent checks come your way. If these aren’t the best WordPress affiliate programs out there, we don’t know what are. If you do affiliate marketing right, you can build a reputation of trust with your own customers by recommending high-quality products that improve their lives. And if you’re in the WordPress business, we think that any of the above options would make a great addition to whatever your marketing strategy is. What do you think the best WordPress affiliate programs are? Have any really worked out well for you? The post 16 Best WordPress Affiliate Programs to Participate In appeared first on Elegant Themes Blog.